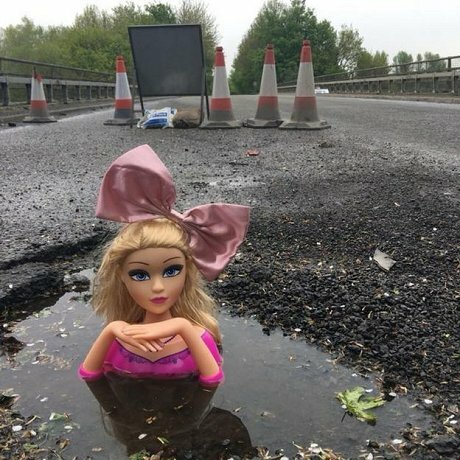 She's caused quite a stir since first spotted sat in her water-filled pot hole on a bridge near Waitrose in Swindon last month. 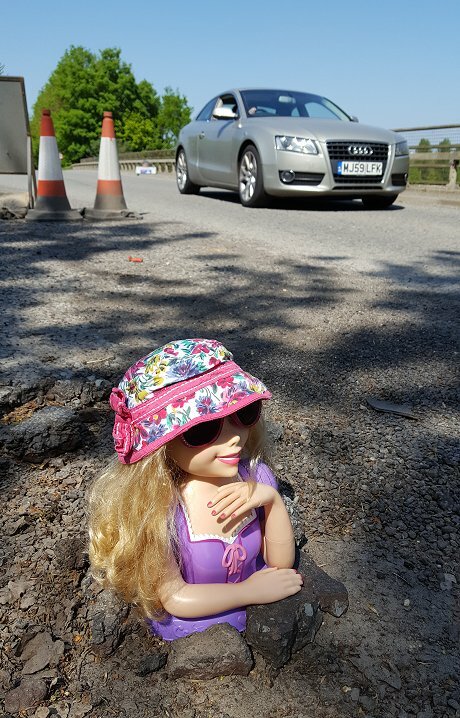 And three weeks on, and now basking in the sun, still she sits - hilariously highlighting the delay in fixing one of the banes of motorists that first appeared in February. 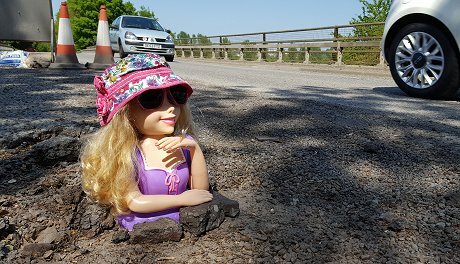 The BBC have even run a story on her plight (see link below) after frustrated local Neville Daytona first placed a dolls head there as a joke after he was fed up with the crater being "barricaded off for months" and had turned to "doll power" to get the hole filled. 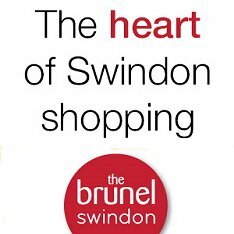 A spokesman from Swindon Borough Council, said: "Our action men and women have repaired the pothole several times but it keeps reappearing due to a problem with the motorway bridge. "Highways England have agreed to fix the underlying issue."